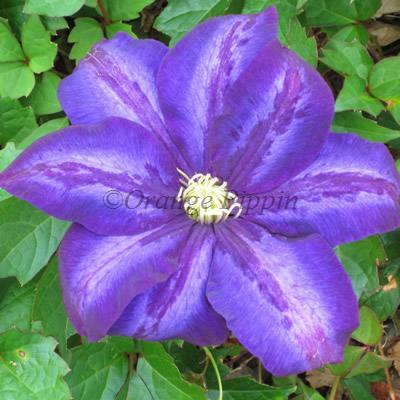 Clematis 'Daniel Deronda' is free flowering variety which produces plenty of large, semi-double, purple/blue flowers during May and June, followed by single blooms in September. This non-evergreen climber can be grown against a trellis, garden fence, wall, arches, pillars, pergolas, clambering over tree stumps and through large shrubs or planted in a container trained up bamboo canes or an obelisk. Clematis 'Daniel Deronda' was raised by Charles Noble of Sunningdale, England and was name after the main character in George Eliot's 1876 novel of the same title.